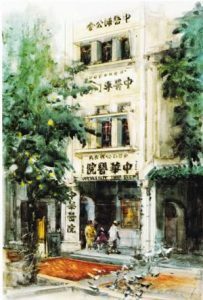 After World War II, the Traditional Chinese Medicine (TCM) forebears launched a pure academic research institution in August 1946, which was officially launched on October 27th that year. 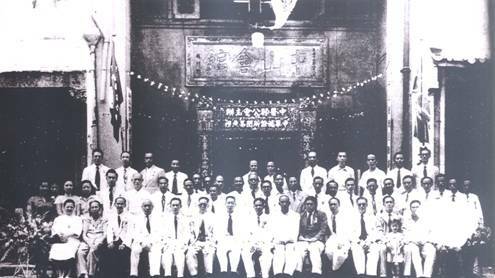 The establishment was known as the “Singapore Chinese Medical Society” (now the “Singapore Chinese Physicians’ Association” (SCPA)).The association’s purpose was to establish academic TCM, develop talents in TCM, improve TCM standards, increase free medical consultations, in order to contribute to society, and at the same time, unite colleagues to the common TCM cause, resulting in mutual benefit. In view of the poor state of Singapore’s post-war health care facilities, the SCPA believed that besides establishing academic TCM and promoting TCM to the masses, it was necessary to establish a TCM organisation that offered free TCM consultation, which would not only help the needy and poor and serve the community better, but also serve as a venue to study large patient groups. 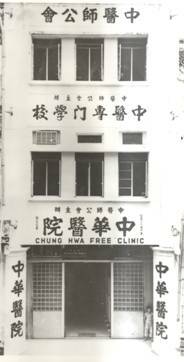 Hence, the SCPA, with the strong support from members of the public, set up the “Chung Hwa Free Clinic” in 1952, and started seeing its first patients on 17th March 1952. Initially, the Chung Shan Wui Koon was borrowed as temporary facilities. Since the establishment of the free clinic, members of the SCPA took on the responsibility of promoting TCM, as everyone agreed that it was necessary for SCPA to purchase its own facilities which would become the key venue for the development of TCM. With the generous help and support from members of the public and several organisations, the SCPA moved into the third floor of 202 Telok Ayer Street on 24th Novemmber 1956, and Chung Hwa Free Clinic was renamed “Singapore Chung Hwa Medical Institution”.From then on, the Telok Ayer Singapore Chung Hwa Medical Institution became the main clinic and headquarters of the SCPA, and along with the Singapore Chinese Physicians’ Training College, occupied the premises for the next 20 years. In 1987, after the completion of the Toa Payoh Singapore Chung Hwa Medical Institution, the SCPA headquarters and Singapore Chinese Physicians’ Training College were relocated to Toa Payoh. As the authorities had included Telok Ayer as a conservation area, and the main building was very old, the SCPA decided to renovate the Telok Ayer Singapore Chung Hwa Medical Institution building in 1990 and applied for renovation permits. The Urban Redevelopment Authority (URA) and Building Control Department (BCD) awarded the permits on 12th January 1991 and 25th February 1991 respectively. Renovation works started in July of 1992 and total costs amounted to $432,557.61. 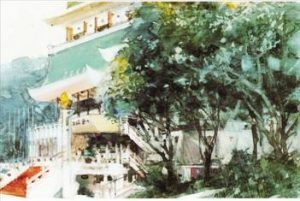 On 18th July 1994, Telok Ayer Singapore Chung Hwa Medical Institution reopened and consultation departments included internal medicine, acupuncture, rehabilitation services, laser smoking cessation and knee joint specialty group. The third floor was used as the gallery for the historical heritage of TCM (the museum was relocated to the Toa Payoh Singapore Chung Hwa Medical Institution in April 1995). With the changing times, the Telok Ayer area gradually became part of the commercial and financial district, and the number of patients declined steadily. ALong with the changes in financial strategy of the Singapore Chung Hwa Medical Institution, the Telok Ayer Singapore Chung Hwa Medical Institution stopped seeing patients on the 1st of June 2005 and in 2006, the SCPA transferred its assets to the orthopaedic centre set up by Singapore Chung Hwa Medical Institution. The successful launch of charity work by Singapore Chung Hwa Medical Institution was warmly received and supported by local organisations and the general public. In order to facilitate more patients receiving access to free TCM consultation, preparations were made to set up another branch. 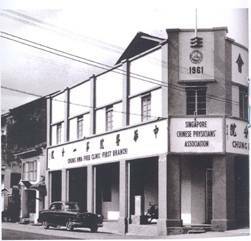 At that time, thanks to the enthusiastic support by Mr Lan Zeng Qiang who unconditionally donated two shophouses at 233-235 Serangoon Road to SCPA, the first branch was set up, which was named “Singapore Chung Hwa Medical Institution–First Branch”. It was officially launched on 17th March 1961, and the well-konwned philanthropist Mr Lan Ru Yan was invited as the Guest of Honour at the opening ceremony. Since then, Singapore Chung Hwa Medical Institution First Branch and Telok Ayer Singapore Chung Hwa Medical Institution served the community together. As a token of appreciation to Mr Lan Zeng Qiang and Mr Lan Ru Yan, they were made Permanent Honorary Presidents, to commemorate their great contributions to Singapore Chung Hwa Medical Institution.Following the establishment of the first branch of Singapore Chung Hwa Medical Institution, not only were patients provided with another venue to seek consultation, there was also a specialised TCM clinical training centre, where TCM students had the opportunity to learn from the bedside, as well as have greater interactions with physicians and patients in the clinical setting. In 1978, Physicians Yang Song Nian and Lu Wan Biao’s clinical consultation groups created great interest in TCM research, helping to raise TCM physician standards and provide high standards of care. In July 1982, as a result of urban redevelopment, the First Branch was notified by the authorities to either relocate its premises or close operations. The authorities provided the First Branch with two options: 1) to accept compensation; 2) to accept two shophouses provided by the authorities, and once accepted, the First Branch would be required to pay at least $10,000 in maintenance fees. This was a costly sum to bear, so the First Branch accepted the compensation sum and decided to use the money to purchase private land. However, despite several years of searching, no suitable property was found. In September 1986, the authorities reclaimed the First Branch premises, and at the same time, due to economic recession, all departments were in a downturn and the First Branch was forced to close down. The compensation sum was placed into the Singapore Chung Hwa Medical Institution Medical Fund. The First Branch of Singapore Chung Hwa Medical Institution was finally closed on 1st November 1986, after 25 long years of medical service. On 26th January 1967, at the SCPA’s 18th inauguration of the new Board of Directors, Singapore Health Minster Mr Yong Nyuk Lin expressed his gratitude towards Singapore Chung Hwa Medical Institution for providing free medical and health care to tens of thousands of patients over the past decade. He commented that this is a highly commendable contribution to society by Singapore Chung Hwa Medical Institution, and as a token of appreciation, he publicly announced that in the 1968 Annual Budget, Singapore Chung Hwa Medical Institution would be awarded a symbolic sum of money. Since then, to this day, Singapore Chung Hwa Medical Institution has received five thousand dollars annually from the Singapore Ministry of Health as donation.The government’s decision greatly encourage the SCPA, and the general public’s enthusiasm was also roused by this generous act, and they continued to support SCPA and Chung Hwa Medical Institution through generous donations. 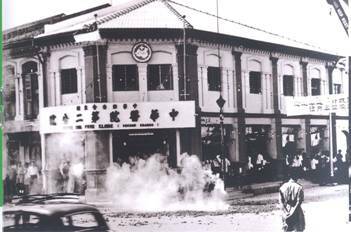 In the 1960s, Geylang occupied a large area and was very crowded. Prior to 1967, there was no large scale charitable hospital, and in view of this, the SCPA proposed opening a free clinic in this area, and finally purchased a building at number 707, Geylang Road. On 27th October 1967, the grand opening ceremony was held at the celebration of SCPA’s 21st anniversary, with the Education Minister Mr Ong Pang Boon as the Guest of Honour. On 4th July 1970, when the government announced the expropriation of land at the Geylang Second Branch, the SCPA members actively appealed to the government for land swap, and on 20th January of the following year, the Ministry of National Development informed SCPA that a piece of land at the junction of Toa Payoh Lorongs 4 and 5 had been assigned for use by the Chung Hwa Medical Institution to build a new hospital. 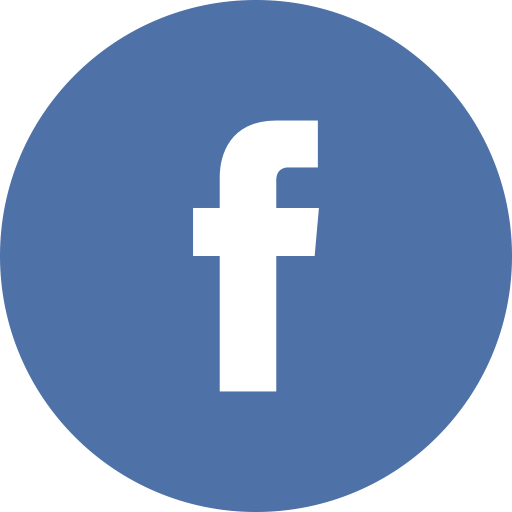 The Second Branch was expropriated by the government, but as there was no immediate plans for use, the Second Branch was able to rent the premises from the government and remained in operations until November 1993, and closed its doors for good in June 1994. In 1970, when the government expropriated the Second Branch, SCPA members felt that Singapore Chung Hwa Medical Institution should no longer simply offer free medical consultations, but instead, expand its operations and conduct more research and development work. Such work would require the co-operation and joint efforts of the SCPA, training college and research institute. Hence, when the 19500 square feet plot of land at Toa Payoh was assigned for the construction of a hospital, SCPA members brainstormed and after careful consideration, appealed to the general public with fund-raising activities. On 4th July 1972, the “Toa Payoh Singapore Chung Hwa Medical Institution Fund Raising Committee” was set up, led by the Ministry of Social Affairs’ Senior Parliamentary Secretary, Mr. Chen Zhicheng, together with the four main newspapers in Singapore, “Nanyang Business Daily”, “Xing Zhou Daily”, “Xin Ming Daily” and “People’s Daily”. For a time, as a result of the enthusiastic response from people from all walks life, there was great interest in all things TCM, and people who cared about TCM participated in all kinds of fund-raising activities, such as free shows, charity musicals, charity sales, charity walks and runs, donations, charity auctions and so on, one after another. The full swing of the fund-raising campaign lasted for more than three years, and raised a total of over five million dollars. It can be said that this was a historically unprecedented feat in Singapore TCM history, and one that is truly memorable.To help the community better understand the source of this donation and maintain the current situation, on 28th August 1972, several government officials and reputable members of society, as well as the several subsidiaries of SCPA came together to form the “Singapore Chung Hwa Medical Institution Foundation”, taking up the responsibility of further fund-raising, custody of funds and payment. The plan for the “Singapore Chung Hwa Medical Institution” was originally a large-scale modern seven-story building. However, due to practical reasons, the construction plan was eventually shelved and was finalised as a three-story building, with an outpatient department, great hall, library, basement carpark, with a total area of 2672 square meters, built at a cost of 3.7 million dollars. The building was named “Toa Payoh Singapore Chung Hwa Medical Institution”, and in 1976 the Minister of Health Dr. Toh Chin Chye hosted the ground-breaking ceremony. On 29th September 1977, after the foundation stone was laid by the chairman of Singapore Chung Hwa Medical Institution Foundation, Mr Sun Bing Yan, the Toa Payoh Singapore Chung Hwa Medical Institution started construction work. The official opening was on 27th October 1979, with the Labour Minister and SCPA advisor Mr Ong Pang Boon officiating the opening ceremony. The attendees of the ceremony included Singapore Ministers, local and foreign dignitaries, and the event was a highly memorable and successful one. Following the opening of Toa Payoh Singapore Chung Hwa Medical Institution, with the passing of time, by 1990s, the consultation rooms were too old and unusable, requiring major refurbishment, in order to better serve the community. The renovation was approved by the Ministry of National Development and approval was obtained to build another storey to increase the number of classrooms and expand the library, with the aim of expanding the space for academic research and with the aid of the government, to build an elderly health service centre. The expansion project was officially started on 22nd April 1991, with Brigadier General George Yeo officiating the ground breaking event as well as launching another round of fund-raising activities. After 10 months of construction, renovations were concluded in February 1992, with an addition of 806 square metres (total area: 3478 square metres), and the new fourth storey consisted of the library and museum, as well as a memorial hall named after the late Honorary President Mr Chen Zhong Ming, the “Chen Zhong Ming Memorial Hall” also functions as an activity centre and lecture auditorium. Although another storey was built, due to the rapid expansion of the Singapore Chung Hwa Medical Institution and Singapore Chinese Physicians’ Training College, the demand for more space exceeded supply. In 2001, Toa Payoh Chung Hwa Medical Institution was commissioned to renovate and expand once again, this time converting the roof into two auditoriums (one of which was named Huang Nanshou Memorial Hall to commemorate the late Dr Huang Nanshou’s generous donations for the expansion), increasing the number of laboratories, upgrading the air-conditioning system of the consultation rooms, refurbishing the dispensing room and reception, and expanding the administrative office, increasing the usable area by 371 square metres (total area of 3849 square meters) at a cost of two million dollars. The project commenced in August 2001 and completed in May 2002. Along with the expansion project, the Toa Payoh Singapore Chung Hwa Medical Institution (Main), Yishun Singapore Chung Hwa Medical Institution (branch), Woodlands Singapore Chung Hwa Medical Institution (branch), Telok Ayer Singapore Chung Hwa Medical Institution (branch) also converted their medical records to a computerised system and since then, the four medical institutions have been using the same system and there are plans for all the medical institutes to sharing one network,allowing patient medical records to be traced more easily. As a result of urban redevelopment, the First Branch at Serangoon ceased operations on 1st November 1986, and the Second Branch in Geylang ceased operations on 30th June 1994. As a TCM free clinic had yet to be set up in the North zone of Singapore, in an effort to reach out to even more members of society and provide more convenience to patients, following discussions with the SCPA advisors, officials from the Ministry of Law and Finance, and with the aid of Sembawang GRC Member of Parliament Associate Professor Ho Peng Kee, approval was obtained in May 1994 to build a clinic at the void deck of Block 215 of Yishun Street 21, with an area of about 470 square meters.On 6th May 1995, Associate Professor Ho Peng Kee officiated the ground breaking opening of the Yishun Singapore Chung Hwa Medical Institution, and after five months of renovation, the clinic started seeing patients on 2nd October 1995 and on 25th August 1996, Associate Professor Ho Peng Kee was once again invited to attend the opening ceremony. Since the opening of Yishun Singapore Chung Hwa Medical Institution, an average of 5000 patients are seen every month. The clinic has been enthusiastically serving the residents of the North Zone and being warmly received by them in return. The first Singapore Chung Hwa Medical Institution to be established in an HDB estate was the Yishun Singapore Chung Hwa Medical Institution, which brought great convenience to patients, and was warmly received. Hence, with the support of Sembawang GRC Member of Parliament Associate Professor Ho Peng Kee and Associate Professor Chen De Yong and the help of the Residents’ Advisory Committee chairman Mr Dong Mao Cheng, the SCPA council was able to select an ideal location. On 14th November 1999, Associate Professor Chen De Yong was invited to the ground breaking ceremony at the void deck of Block 679 Woodlands Avenue 6, with an area of 325 square metres. Woodlands Chung Hwa Medical Institution started operation on 11th April 2000. The official ceremony was held on 31st March 2001, and the Guest of Honour was Deputy Prime Minister and Defense Minister Dr Tony Tan.Woodlands Singapore Chung Hwa Medical Institution was the first medical institution branch to operate a fully computerised system, which not only made it easier for physicians to trace medical records, but also raised the clinic’s administration efficacy. For the convenience of patients staying in the East, Singapore Chung Hwa Medical Institution established the Changi branch within Changi General Hospital. The Health Minister was invited as the Guest of Honour at the opening ceremony on 27th October. This was the first time a TCM clinic was set up within a Western medicine hospital, marking an important turning point in the development of TCM in Singapore.The Singapore Chung Hwa Medical Institution has been hiring local and overseas TCM professors as specialist consultants or visiting consultants at the Changi Branch of Singapore Chung Hwa Medical Institution, and this has helped to offer specialised consultations and raise the standards of healthcare to its patients, which has been warmly received by patients. In January 2009, Singapore Chung Hwa Medical Institution opened within Ren Ci COmmunity Hospital, in addition to providing a more well-rounded healthcare service to the patients, it also offers acupuncture service to inpatients of Ren Ci Hospital, long-term stay patients at Marine Parade Elderly Home and patients at Ren Ci Day Care Centre for the Elderly. On 15th January 2009, Health Minister Mr Khaw Boon Wan visited the Novena Singapore Chung Hwa Medical Institution.The Novena Singapore Chung Hwa Medical Institution officially opened on 20th March 2010, and the Law Minister and Senior Interior Minister Associate Professor Ho Peng Kee was invited as the Guest of Honour. Singapore Chung Hwa Medical Institution has always been a subsidiary of the SCPA, and even though it had its own independent financial account and public sector status, the organisation had no independent legal status. According to the Ministry of Health regulations, Singapore Chung Hwa Medical Institution registered to become an independent public company with limited liability on 20th April 2011. Since then, Singapore Chung Hwa Medical Institution has become a separate legal entity. With the strong support from the Mayor of North West District, Dr Teo Ho Pin, Singapore Chung Hwa Medical Institution opened the Bukit Panjang Branch for consultation on 25 July 2012. It was officially opened on 27 October 2012 by Dr Vivian Balakrishnan, Minister for the Environment and Water Resources, Dr Teo Ho Pin, Mayor of North West District and Mr. Liang Eng Hwa, MP for Holland – Bukit Timah GRC, together with Council Member of Singapore Chinese Physicians’ Association (SCPA), Executive Members of Singapore Chung Hwa Medical Institution (SCHMI), Grassroots Leaders and Residents of Bukit Panjang. In order to show our appreciation for donors who sponsored the construction of Bukit Panjang Branch, all donors who donated $5000 and above, would have their names engraved permanently on the Building Fund plaque for commemoration. From the establishment of the SCPA to establishment of the Chung Hwa Free Clinic, to the setting up of the main Toa Payoh Singapore Chung Hwa Medical Institution and various branches, apart from the teamwork and meticulous planning and dedication shown by the SCPA Council member and Training College’s Committee members and directors, most importantly, the success was dependent on the generous donations and support of the community’s philanthropists, community leaders, parliament members, government officials, businesses, organizations and institutions.Singapore Chung Hwa Medical Institution has undergone 50 years of ups and downs, successes and failures, under the direction of SCPA’s council members and boards of directors, the spirit of promoting and expanding TCM in Singapore was upheld. With the constant improvements made to the facilities and computer systems and improve service quality standards, with ISO9001:2008 international quality management certificate awarded, the next important task is to focus on clinical TCM, and to improve local TCM standards and raise clinical efficacy, for the benefit of the general public.